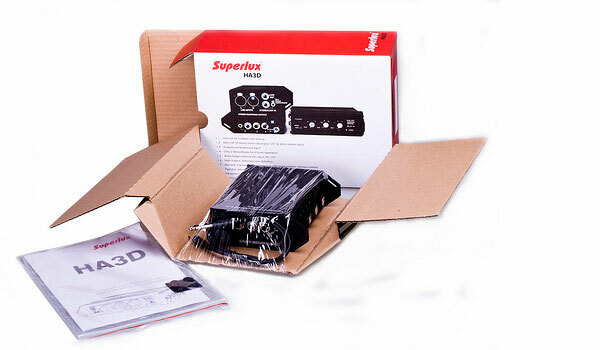 We have been looking at a lot of headphone amps of late and as a result the floor is covered in carnage when we try to compare headphones to headphones – the options are endless at times and people keep saying how to does this headphone sound with that amp and does this headphone sound like that headphone? I tell you part from being one of the most subjective games in the business for comparing headphones it is also the most energy sapping switching your headphones around every time you want to compare on a single amp or amp/dac. 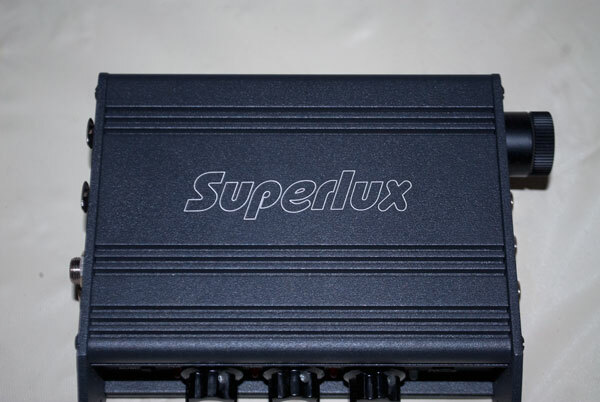 Which is why the Superlux HA3D, with it’s three jack output, to name a few things, is a very interesting proposition and at a price point which is pretty darn competitive. Now the solid state HA3D has been out for a while globally but only in the last month have they sneaked into local market so big thanks to Superlux for getting a unit out to us for inspection and testing. Superlux Philippines have been quick to get the product out to the local distributors also so I am starting to see the brand pop up in the usual outlets which is very promising. The box is pretty big and this is a good indication of what you get inside because the unit itself is no pocket wonder I can assure you. Opening it up I expected a lots of bits and pieces, the amp etc but in actual fact you get the amp, a line cable, the manual and a bunch of sticky feet. Nothing else really – very utilitarian actually but then when your done taking it out you are not looking at the box but this tank like structure called the HA3D. Man this thing is built to last with its solid metal enclosure, studio level knobs – nothing boutique about this, this is built to last. 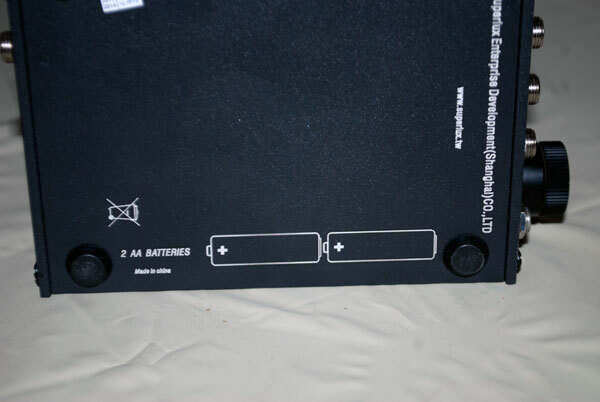 Batteries – yes only 2 required! You are also going to notice the size. It is much bigger than the average portable headphone amp so in a sense I would have normally said ok this is a desktop amp but for the fact on the back of it you have two AA battery symbols. Ah well now we do have portability but only nominally so. I would hazard a guess that from the strong studio legacy designs it contains when we mention portability we don’t mean commuting to work but moving it around a studio or a setup far away from wall sockets. Stick it in a ruck sack sure, stick it in your pocket not a chance. Oddly enough I can envisage some of our local forum members trying this out on a local commute – why I persecute myself with these thoughts I will never know. Now the HA-3D is jam packed with connections and this is one of it’s main selling points. Moving from right to left you have 3 huge studio dials for volume, the power switches, 3 headphone jacks on the far right and then some balanced inputs on the left, finishing with loop in (line-in) and line out. This unit is not short of connection options. The 3 jack option is a key seller for me, particularly for headphone comparisons or simply sharing with your buddies. Balanced inputs give you options within a balanced setup, though the omission of RCA inputs, instead using a line in, is curious one considering it’s borderline desktop design. 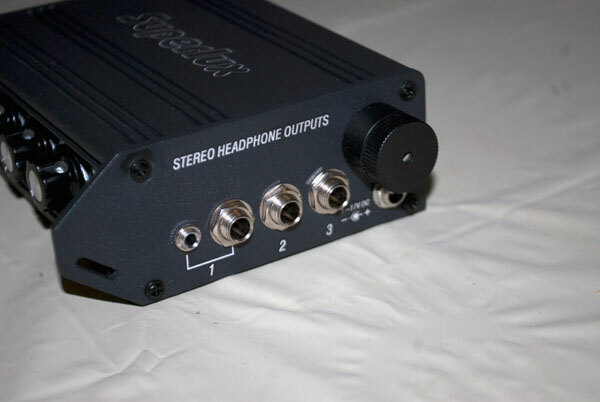 Still using the line-in I can hook a FiiO E9 as a preamp using digital audio or a more mobile solution with a Hifiman HM602 series or connect it to something like a Cambridge DAC Magic through the balanced inputs for more heavyweight usage and I am all set. You can even loop out to another HA-3D to have 6 cans running at the same time – professional demo sellers take note! It is a pity also there was no balanced output just to complete the balanced setup but given the options and pricing this might be too much to ask for. What I love most is not just the 3 jacks but the fact each one is individually a complete circuit allowing for full volume control for each jack. In effect you have three amps here all outputting the same sound signature which for monitoring folks is a big bonus and for us chattering classes we can listen and give thumbs up at the same time without ever wondering if we are hearing the same thing or not. There is an option on jack 1 also for 3.5mm input giving earphone users the ability to join in on the fun. The AA battery rating at 8 hours is not going to break records but just think of the fact what I said in the last paragraph and you begin to realize how well this is put together. To be able to run this amp with 3 outs on 2 batteries is pretty outstanding stuff. There is a an AC socket also for prolonged use though sadly you don’t get a wall wart in the package. • 3 independent headphone outputs with individual volume controls. • Frequency response from 10 Hz to 50 kHz. • Individual peak indicators show overload of each headphone feed. • Master Stereo / Mono switch. 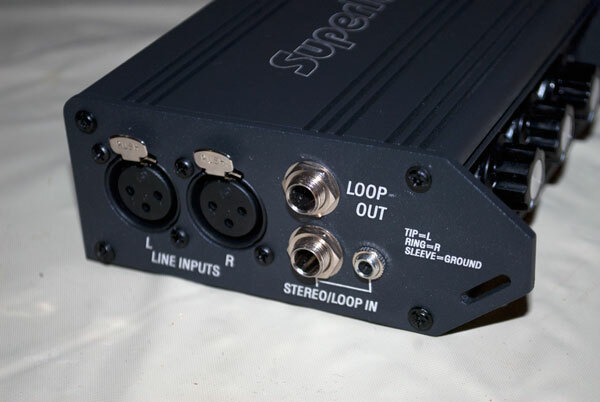 • Loop output to connect additional HA3D’s in series for extra headphone outputs. • Strap loops on side panels for easy mounting or wearing. For three jack outputs you would think there has to be compromise somewhere on the power side. Oddly enough this is not the case. The HA-3D can really get to grips with plenty of thirsty cans though I did not roll out the big guns such as my Hifiman range. My gut instinct told me that the HE300 will be just fine and maybe even the HE500 but the HE6 and possibly the 5/4 might struggle a bit more. The Grado 325i rocked pretty easy though in it’s stock format I felt it a tad too harsh and bright; the modified 325i saddled with wood and denko cable brought a much more satisfying sound with much of the 325i’s natural ‘splish splash’ tamed down. My best match was the ESW9 using the FiiO E9 as a pure pre-amp and the E7 as my DAC. Using the Cypher Labs AlgoRhythm Solo with LOD out and an iPod to the HA-3D made the whole setup a little too bright for my own tastes though everything was wonderfully crystal clear. Perhaps it was my mood tonight but I wanted laid back and the ESW9 plus FiiO E9 gave me a bit more than the Grado and CLAS option. 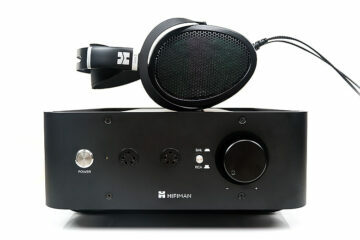 Another nice match was the Hifiman Hm-602 with its thick and warm analog output using line-out to the loop-in. Certainly seemed one of the better ‘mobile’ setups. Even the Sony PFR-V1 got a good run though the lack of natural deep bass output didn’t help with the Sony being a bass light personal ear monitor to begin with. Sound quality wise this was built from the top down so whilst there is a ton of power we found the sq to be more neutral to bright than dark and warm. Take your pick, some will love this and some will not so match with care as always. The power handling capacity should also draw in some of the hungrier 300/500 ohm cans and certainly the Sennheiser HD650/800 seemed happy enough when hooked into the amp. Overall I found this to be a nice niche product that sits somewhere between a full desktop solution and a mobile ‘does everything’ amp. 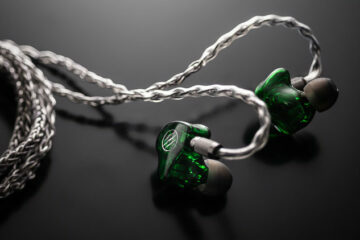 Easily could be the darling of headphone meets, professional demo sellers of audio products and of course studios. Price wise as always with Superlux the HA3D is a winner coming in at just over $100 locally and in this context it is an excellent little headphone amp. I really liked this amp for my D1100 since bro Mike brought it over from China. i just opted for the D10 because of the frozen X3. Yeah bummer about the X3 not coming out. The D10 is pretty mobile but now your going to have to get some DAP with a digital out to get the most out of it mobility wise. I actually used it with a wall wart for most of the review on account of running out of AA batteries :) I did not detect any hiss using my ESW9 and E9 pre-amp setup. I am going to try some Merlin and K3003 usage tonight to see if there is any hiss effect also.